Rice filled neck pillows so simple to make and use, and they make speical gifts too. Just follow these simple instructions to have a rice filled neck pillow for everyone on your Christmas list. Choose a tight weave fabric to sew the pillow insert. A double layer of muslin would work well. With that said, you will need two pieces of fabric that is at least 12 inches wide by 16 inches long. Lay one piece of fabric on top of the other as you are sewing a double thickness of fabric to keep rice from escaping. Fold it in half, width wise. Folded, your fabric will be 6 inches wide by 16 inches long. 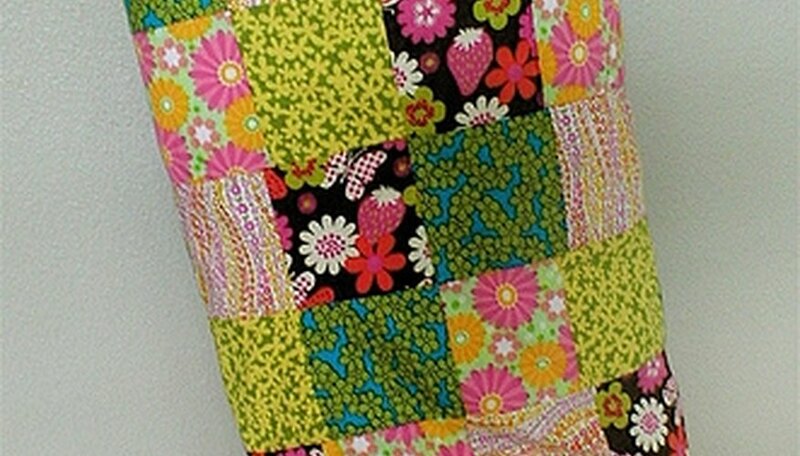 Sew down the open side and across the bottom of the fabric with a sewing machine. Make a double seam for extra strength. This will form a tube that is flattened on the end. Turn the fabric tube inside out and open the fabric tube so that you have two layers of fabric on each side. Roll the sides of the pillow bag down so that you do not put your rice in the wrong channel. Mix regular white rice and some of your favorite fragrant herbs. Crushed cinnamon bark or crushed cloves will give off a great smell. You can also try eucalyptus or lavender. Fill the bag with the rice mixture leaving the top three layers unfilled. This will allow the pillow to form around the neck and shoulders. Fold raw edges of the fabric inward and pin it closed. Sew the bag closed using your sewing machine making a double seam. Create pillowcases for each rice pillow by cutting a standard pillowcase in half length-wise. You will want each side to be approximately 7 inches wide. Turn our pillowcase inside out and sew the cut seam of each half. You now have two washable and interchangeable pillowcases for the rice filled neck pillow. It is important to make a separate pillow case so it can be washed regularly and your pillow will last longer.